Emily Rodgers sat in the backseat of a rusted-out taxi next to her longtime friend and pseudo-assistant, Addie Cahill. The ad agency should have had a limousine waiting at the airport, not an old cab that burped and passed gas. But Emily had been sent to Alvernia, a small European country, for damage control, not a holiday. The taxi driver zigzagged around two cyclists. Her head ached and her body longed for sleep after four flights and fifteen sleepless hours of travel from San Diego, California, but she found herself captivated by the postcard perfect street lined with charming shops and cafés. Elaborate engraved wooden signs hung from each storefront. People filled the sidewalks, enjoying the sunny spring day. “Yes.” Not one hundred percent set, but Emily would figure out the other details soon. So what if she worked in advertising not television? Her boss, Don Peabody, wanted his wife Kendra’s production company to succeed. He was willing to use whatever resources necessary, including Emily, to make that happen. This wasn’t the first time she’d been forced to help a fledgling reality TV show. If she received an overdue promotion, she hoped this one would be the last. Emily nodded. She should have been promoted last summer, but her boss told her that she needed to bring in a top level client first. She’d been working on doing that ever since. An imaginary clock went tick-tock in her mind. She pressed her lips together to keep from saying anything. The cars on the road weren’t the driver’s fault. She checked her cellphone. Nearly one o’clock in the afternoon. Traveling made her lose all sense of time. She stretched her arms over her head and yawned. Emily did a double take, noticed cameras. Lots of them. Not just people. Paparazzi. They jockeyed for position like hungry piranhas hunting for their next victim. Every muscle twisted into a going-to-need-a-massage bundle of knots. Only one person could cause a near riot in the quaint, picturesque town surrounded by snowcapped peaks—His Royal Highness Lucas Alexander Leopold Casimir von Rexburg. The reason she’d been sent here. Black sheep and reckless royal didn’t begin to describe King Leopold’s youngest son, who was so far down the line of succession he wasn’t considered a spare heir, but a liability. 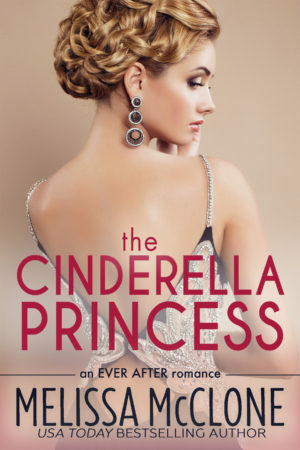 Nick Cahill was Addie’s husband, a former Green Beret hired by Emily to handle security during the filming of a new reality TV show called The Search for Cinderella starring Prince Luc as he looked for a princess to marry. “Nick couldn’t believe the prince ran off while everyone was suffering food poisoning,” Addie said. Based on Luc’s reputation, Emily could believe it. She tapped her finger against her face. She was here to get the filming and dating back on track after the producer fired their royalty consultant. She had five days to fix the problems before she returned to San Diego for a client presentation. Emily remembered the photos that had gone viral after the prince’s strip poker game with college women on tour with an a cappella choir. The next day, she’d hired Nick to babysit the royal rogue. That had been a month ago. The cab backfired. Emily’s heart pounded. A good thing they were almost at the hotel. Her words held a touch of whimsy. Not surprising. She believed in happily ever after and one true love. Emily knew better thanks to her divorced parents. Being with a man could be enjoyable. Everyone needed companionship and attention at times. Affection, too. But forget about making things permanent. Troubled? Yeah, right. More like a troublemaker. “No one is forcing Luc to hang around half-naked women and drink until he passes out.” Thankfully the photos of the prince’s party habits had stopped being uploaded to social media once Nick arrived on the set. The cab double-parked twenty feet away from the hotel. The driver removed their suitcases from the trunk and carried the bags to the sidewalk. The sun shone bright in a clear blue sky. Emily squinted, then put on her sunglasses. The temperature was pleasant, only a slight breeze. The mountain air refreshed her after breathing in the recirculated air in the various planes. A man ran past, bumping into her. She stumbled forward. The pavement rose to greet her. The man, who carried a camera bag, kept going. Typical. Him and two dozen others. Chaotic was the only way to describe the crowd in front. Prince Luc’s location and the show were supposed to be top secret. That was one reason they weren’t filming in Alvernia until the end. The king’s youngest son drew attention wherever he went. “If I pinch myself, do you think I’ll wake up and discover I’m having a bad dream?” she asked Addie. She didn’t want a boyfriend let alone a husband. Casual dates when she felt lonely were good enough for now. She needed to focus on her career. Logically, Emily knew that. Convincing her heart would take some doing. She squeezed past the throngs of paparazzi. Finally she reached the uniformed doorman. “Thank you.” She stepped inside. Addie followed. Cool air greeted Emily. The scent of money, too. Plush carpeting and heavy gold drapes swallowed the noise from the crowd outside. Old World was the only way to describe the décor with hanging chandeliers, gilded wood molding and exquisite oil paintings on display. The luxurious atmosphere seemed one-hundred-and-eighty degrees from the party animal prince who would be more comfortable at a college fraternity house. The man replied with a nod. A few minutes later, Emily stood in front of Suite 428. A Do Not Disturb sign hung on the door handle. Was the prince alone? Or would they be disturbing a romantic rendezvous? Those included Emily. She knocked. She slid the card into the door reader. The little diode next to the card slot turned green. She turned the handle. Emily might not have a firm plan in mind, but she did her best thinking under pressure. So what if the guy was royalty? A random accident of birth didn’t make him different or special. Darkness greeted her. No movement or sounds, either. “Is he gone?” Addie whispered. Emily turned on the nearest light switch. She saw a sitting area, decorated in white and gold. Someone grunted. Not a passionate moan, but an I’m-not-feeling-well groan. 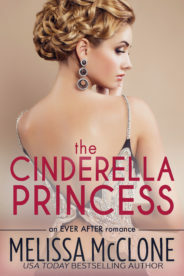 Did you know that The Cinderella Princess and many titles are available digitally from Tule's own bookstore? Check it out!